The second largest athletic event in the world about to kick off. The 2017 World Police and Fire Games (WPFG) kicks off in 5 days. This year’s games will be held in Los Angeles from August 7-16. 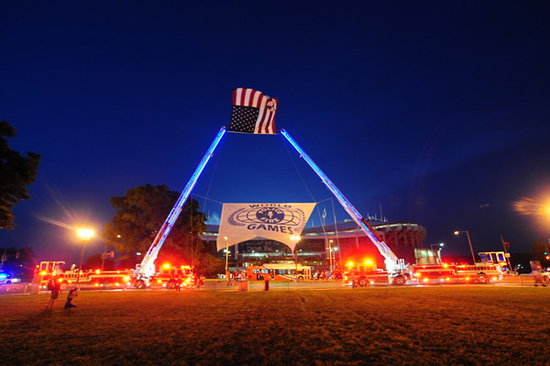 The biennial event attracts active and retired fire service and law enforcement people from around the world. 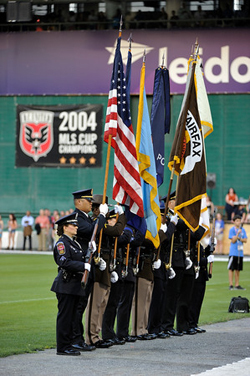 Originally founded in 1985 by the non-profit organization World Police & Fire Games Federation, the WPFG is now the second largest sporting event in the world. More than 10,000 police and fire people from over 65 countries compete in over 65 different sports and disciplines. In 2015, the games were held in Fairfax Virginia and hosted 12,000 athletes. They are hoping for the same success at this year’s event. The World Police and Fire Games offer a variety of sports competitions while at the same time encouraging sportsmanship, physical fitness, and comraderie. Participants register for the sports of their choice, as teams and individuals. The opening ceremony will be held at the Los Angeles Memorial Coliseum on August 7. During the evenings, these world class athletes and their families and friends are invited to spend the evening in “Athlete’s Village”, enjoying music, dancing, and other activities. Another attraction of this year’s games is the World Police and Fire Games Dodgers Night. It will be held at the Dodgers stadium on Tuesday, August 15. Participants of the games can watch the Los Angeles Dodgers take on the Chicago White Sox. For more information about the games, CLICK HERE.